We’re always happy to see members of our extended Green Ronin family do well, and today one of them has blasted into space! 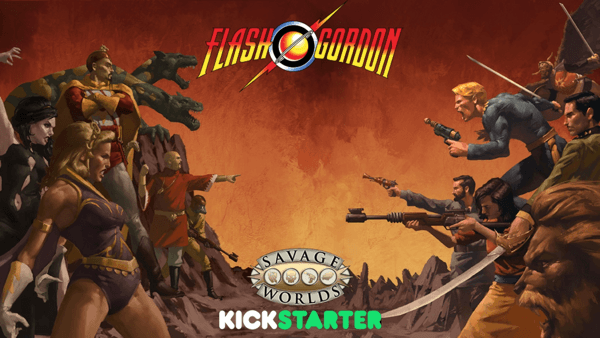 Scott Woodard, co-author of the terrific Cinema & Sorcery: The Comprehensive Guide to Fantasy Film for Green Ronin, is the author behind Pinnacle’s Flash Gordon RPG Kickstarter, which launched today and has already funded. Congrats to Scott and the crew at Pinnacle! A followup and clarification to yesterday’s statement Ronin Roundtable: Modern Ork!